One of the things that most moms do for their families is to prepare dinner every night. But coming up with a new dinner idea every night for weeks, months and even years on end can be a real challenge, especially if you have some picky eaters in your family! So many of my go-to meals are things that cook in 30 minutes or less, or are things I can dump into the slow cooker or make in one dish for the oven, and can cook on their own while I’m busy with other things. 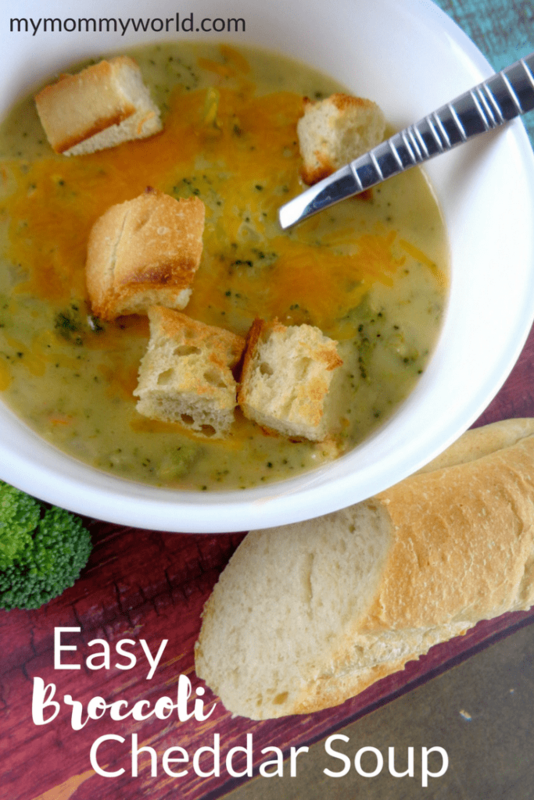 This broccoli cheese soup is one of my husband’s favorite things to eat. It’s great on a cold night, and with all of the veggies inside, I know it is a healthful meal too. It cooks right on the stove top in under 30 minutes and only needs a side of bread and maybe a green salad to make a complete meal. My son’s favorite thing to eat is spaghetti. While spaghetti isn’t too hard to make, it is pretty empty of protein, but I don’t always have time to make a meat sauce to go along with it. 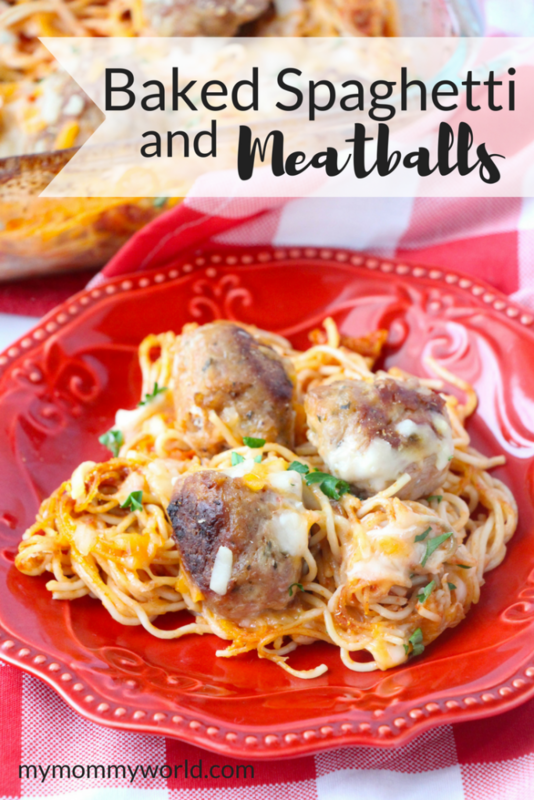 The great thing about this baked spaghetti and meatballs recipe is that I can add store-bought meatballs to it and pop it into the oven while I go pick up kids from practice or fold some laundry. Of course, other times I do make my own meatballs, which makes this meal even better. This slow cooker vegetable soup recipe is probably the easier thing I’ve ever made in my crock pot. It’s literally a dump-and-go recipe, save for the few minutes it takes to pre-cook the ground turkey. The turkey cooks pretty quickly, so that it finishes cooking while I open the cans of vegetables and dump them into the pot. After adding a few seasonings, it cooks all by itself and I don’t have to do anything else to it. 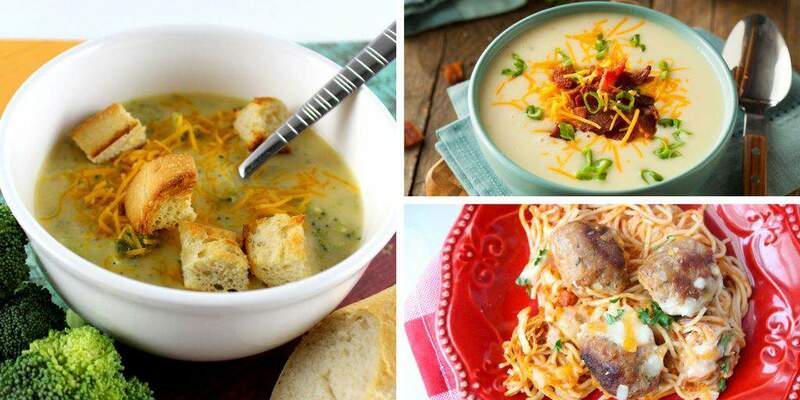 Grilled cheese sandwiches or just plain French bread or crackers goes well with this soup. Mexican food is one of our favorite things to eat, and this oven baked chimichangas recipe really satisfies our craving for it. Prep basically consists of opening some cans of beans, chicken and salsa, and heating them all together in a skillet before rolling it into tortillas. They bake for a few minutes in the oven while you toss a salad together. Sometimes, I make a Spanish-style rice for a side dish. Hot dogs are usually a big hit with kids, and mine are no exception. They love this casserole, and so does my husband! While it looks like a complicated process to make mac and cheese from scratch, it’s really very simple. I can get this mac and cheesedog casserole ready in about 30 minutes, so it’s perfect for busy weeknights. This Southwestern layered beef casserole recipe does take a bit more prep time than the other recipes listed here, but it’s definitely worth the effort! The rice and beef layers are partially pre-cooked on the stove top, but the majority of the cooking takes place in the oven. With a side salad, you can stretch this casserole to two meals, since it makes so much! I like to make this Turkey Corn Chili recipe on the day after Thanksgiving (to use up that leftover turkey! ), but it also works well with ground turkey during the rest of the year. Another quick soup recipe that we love eating for dinner is Loaded Mashed Potato Soup. This soup gets done fast because the potatoes are cooked in the microwave! When it comes to busy weeknights, there’s no need to run through the drive through to get a quick dinner. 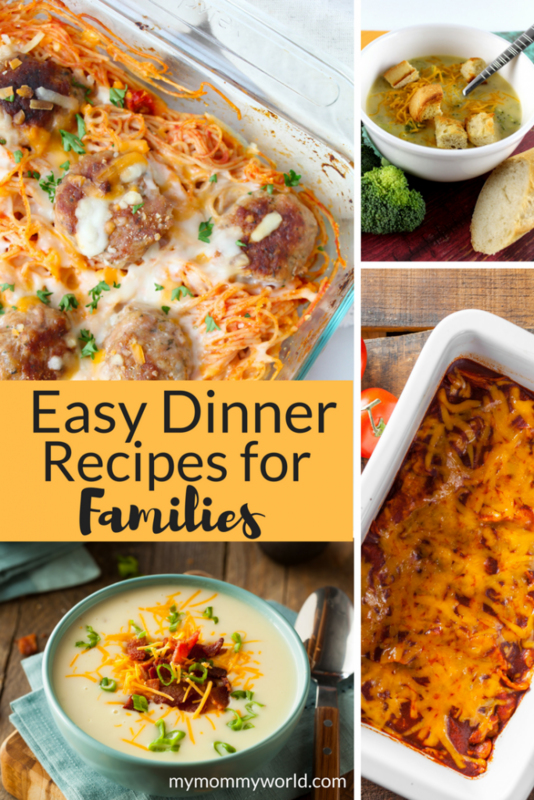 Tuck these easy dinner recipes for families into your homemaking binder or recipe book so you’ll always have a healthy dinner idea to make in a hurry. I find having easy recipes at least a few each week makes it so much easier to get dinner on the table for our family. We love soup too. It’s easy to make and a frugal dinner too. Soup is the best, especially in this cold winter season! Great list, Erin! We love Mexican food, too, so we tend to eat tacos a lot. 🙂 We also eat spaghetti/pasta a few times a week for lunches or dinners. I like keeping meals simple, too.